Yes, that’s the model that I have…a “Jazzy”….and it’s a very welcome addition to my place. 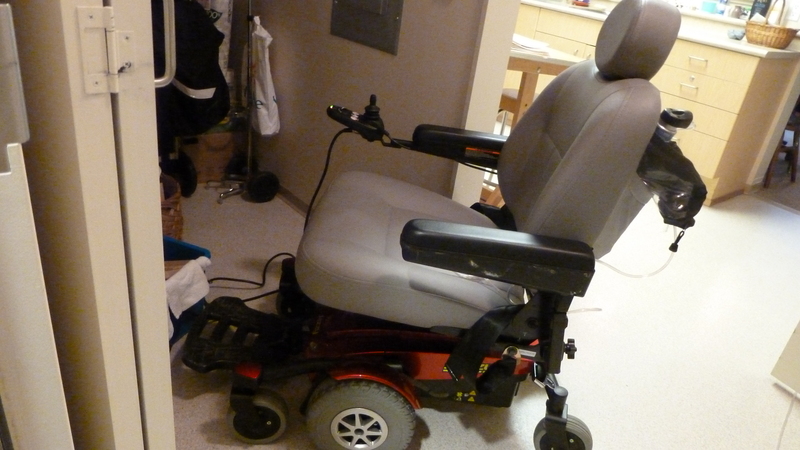 It’s a motorized “chair’’. I was beginning to have trouble breathing when I walked any distance, like going down to the dining room for meals, or to the lounge for the entertainment sessions, and I was beginning to stay home when there was entertainment. It has it’s draw backs… you have to learn how to drive it! It’s different from driving a car…anyway, I am learning, and staff are surprised that I am doing so well. So far I haven’t hit anyone! I am now able to partake of any activities that are happening if I want to. I am grateful for it as I have less problems with breathing. It makes my life much easier. I think you’re Jazzy! Glad you have the extra assistance.